Easter is always a joyous time of year because it means sweet treats, egg hunts, delicious brunches and the coming of spring. Colorado even adds its own characteristic spin with ski resort Easter hunts, so there’s plenty to choose from! Whether you want to celebrate from the top of a mountain, with a plate of biscuits and gravy or hunting through our favorite NoCo parks, there’s an event perfect for you and your family. Get started early, then celebrate all the way through Easter Sunday! Every Friday, Greeley Ice Haus celebrates the weekend with Friday Game Nights from 7:15 – 8:45 p.m. On April 7, they’re adding a themed twist with Easter Egg Mini Golf! Come by for a round of mini golf with Easter egg golf balls. It’s just $5 admission and a $2 skate rental if you want to get on the ice! 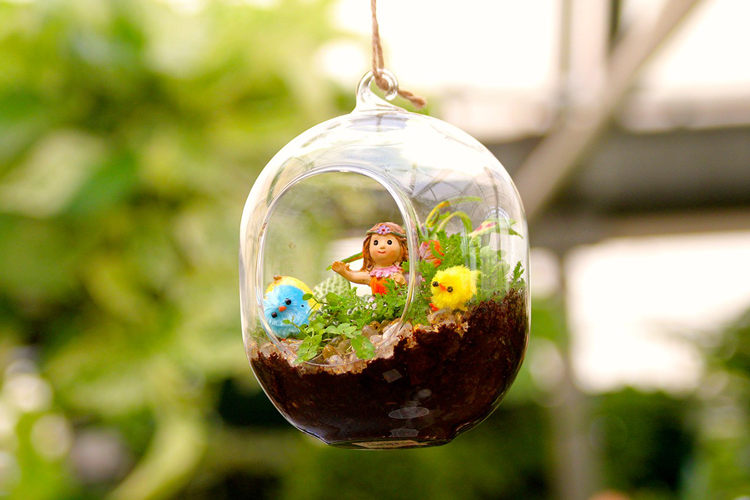 This Easter, create a festive terrarium you can keep in your home all year! For this all ages class, Gulley Greenhouse will provide the glass terrarium, plants, soil, decorations, bunnies, chicks and fairies. Loveland’s Mountain View Presbyterian Church will be celebrating Easter a week early with a classic egg hunt. Bring the family down to search for eggs across the entire grounds — and even inside the building! Loveland’s favorite family fun center is celebrating Easter with a festive egg hunt around the complex. Children ages 7 and under will take off at 9 a.m. followed by ages 8 – 10 at 9:30 a.m. and ages 11 and 12 at 10 a.m. Then come back in the evening for their weekly, late-night Midnight Madness event! 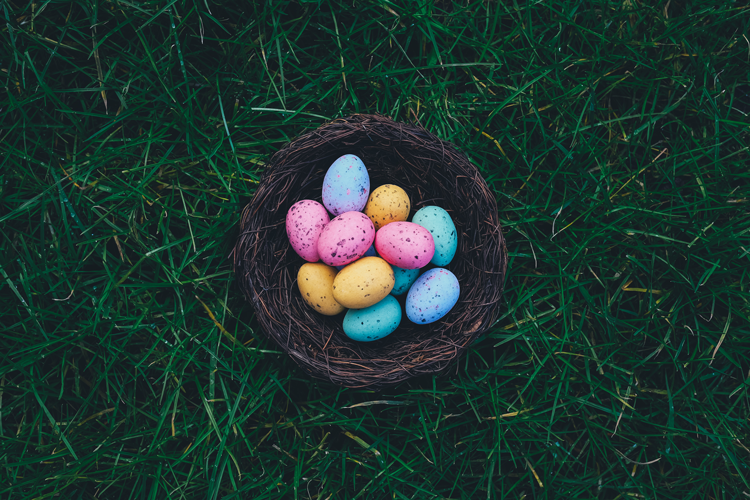 The annual Easter Egg hunt at CSU’s Monfort Quad is hosted by various Health Professions clubs at the university and is a great event for all ages. There will be games, face painting, pictures with the Easter bunny, food, prizes, and of course, an Easter egg hunt! This event is free and open to those with disabilities as well as siblings, families and caregivers. Every year, Antioch Community Church hosts an annual, city-wide Easter egg hunt. Now a favorite event for many families, it’s more than just an egg hunt! Stop by City Park for free food, age-specific egg hunts, games, bounce houses, prizes and more. After Friday’s flashlight hunt, Milliken is hosting its own Easter Egg Hunt on Saturday morning. Stop by Sappington Park to hunt for more eggs, meet the Easter bunny, and get to know the community. Greeley Ice Haus invites everyone for their Easter-themed public skate. 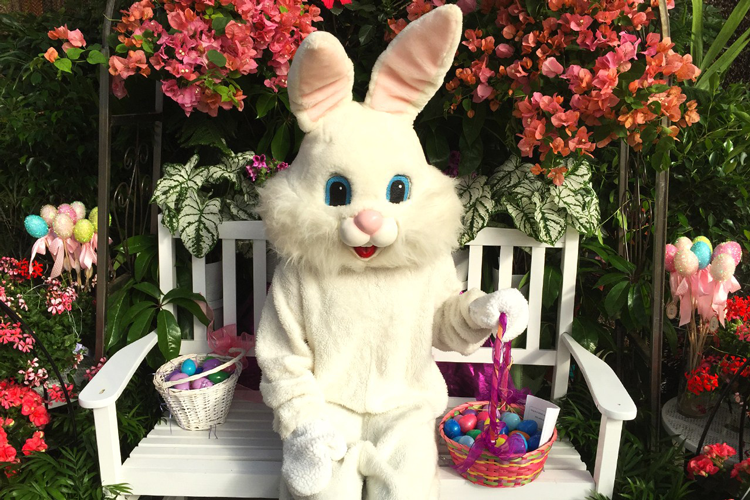 For $5 admission, you’ll get a skate rental and the opportunity to meet and skate with the Easter bunny. This event is the perfect blend of bar crawl and road rally — and it’s the best way for adults to participate in their very own egg hunt! On Saturday, you’ll start at Avogadro’s Number for the kick-off party where you’ll gather your teams of 7 – 9 people and get your bag of tools. 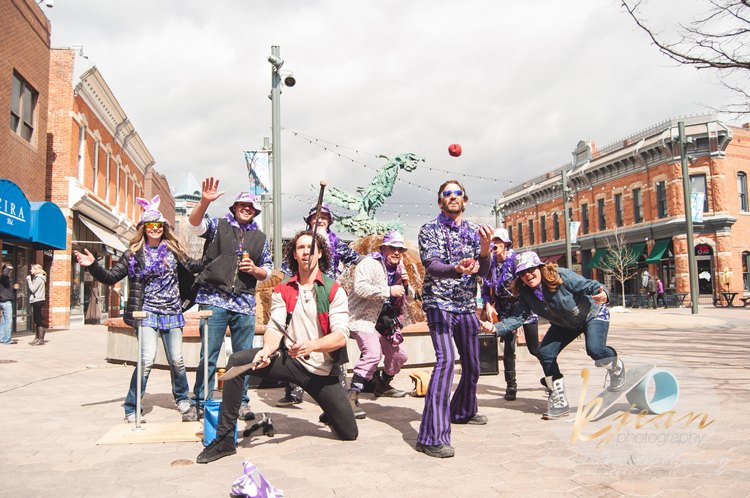 Then, take off through Fort Collins on foot, hunting down treats, goodies, and of course, drinks! The hunt takes about 2-4 hours and results in the winning team celebrating with a huge keg trophy. Stick around at the end for food, drinks and Keg Hunt stories! Don’t forget your costumes! Team color coordination and rabbit ears are encouraged. 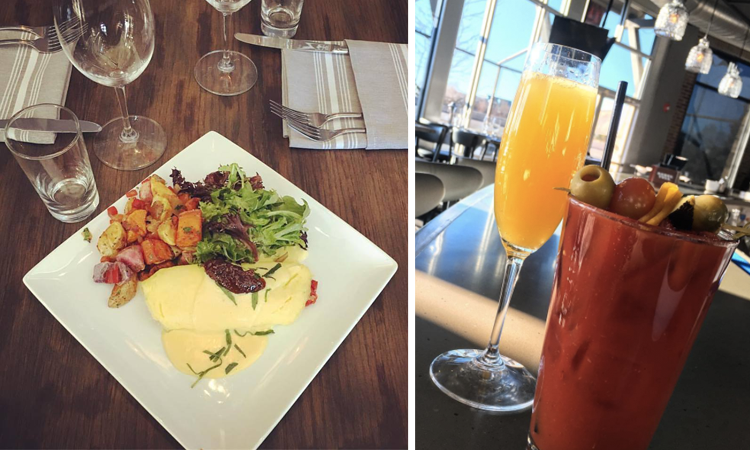 Check out our Ultimate Guide to Brunch in Fort Collins for a breakfast menu you can come back to again and again, or celebrate Easter at one of these area restaurant offering holiday specials! Locality is Door 222’s Fort Collins sister. Their regular menu is filled with upscale dishes steeped in farm to table culture and their special Easter menu may just inspire you to come back for their regular Sunday brunch! Stop by on Easter morning between 10 a.m. and 3 p.m.
Chimney Park is consistently rated the best restaurant in Colorado and in the whole country. 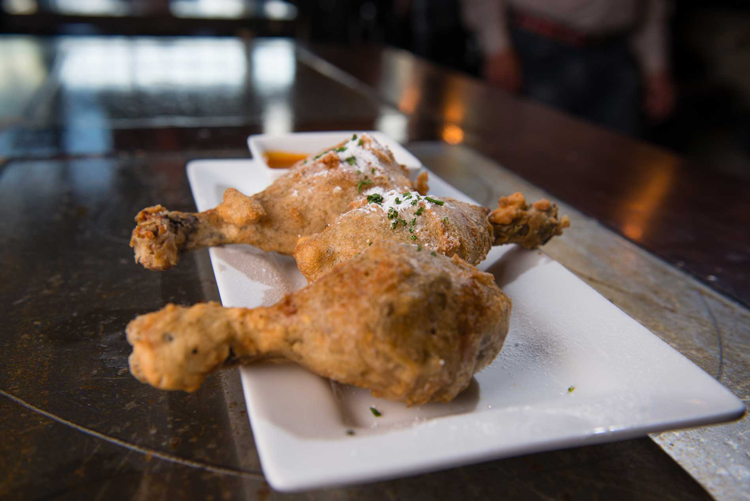 They’re celebrating Easter the only way they know how — with locally sourced ingredients, refined dishes and mouth-watering flavors. Prepare your taste buds with the Easter 2017 menu and call (970) 686-1477 to make your reservation. Though the name has changed, the menu is still filled with the mouthwatering dishes we’ve all come to love. Celebrate Easter Sunday in Loveland with Door 222’s festive brunch from 10 a.m. – 3 p.m. Check back here and on their website for upcoming menu details. From 10 a.m. – 3 p.m. Generations is celebrating with one of the largest brunch buffets in the region. Their 24-foot long table includes eggs, pastries, biscuits and gravy, potatoes, bagels and cream cheese, salmon, shrimp, sausage, bacon, and more. Reservations are required and cost $23 for adults and $9 for children under 9 years. Call (970) 619-8294 to save your spot! Fort Collins is just a couple hours away from some of the best skiing in the country — and these resorts know how to celebrate Easter Sunday! Copper Mountain calls their annual Easter Egg Hunt the largest in the world — and we definitely believe them! A total of 65,000 eggs will be spread over 2,500 acres. With separate hunts for every age group, toddlers and adults can all participate. Hunt with the kids in Center Village or head to the on-mountain hunt to search from your skis. Buy tickets in advance to the 8 a.m. Easter Breakfast with Rainbow Fish where you can meet the character and feast at the breakfast buffet. For $21 – $25, you can take photos, color and make crafts. And $5 from every ticket purchase will be donated to the charity of your choice! Just under 2 hours from Fort Collins, Loveland Ski Area is a favorite of Colorado locals and visitors alike. Celebrate Easter on the ski hill with their annual Spring Skiing Giant Easter Egg Hunt! Gather bright and early at the Basin for first chair, and keep your eyes peeled for giant hidden Easter eggs as you ski down the slopes. Huge eggs mean huge prizes, including skis and snowboards! The Loveland Valley will have their own hunt for kids off Chair 7, so be ready when the lifts start turning at 8:30 a.m. Be on the lookout for the Easter Bunny as he skis around with more eggs and goodies! Both skiers and non-skiers can celebrate Easter at A-Basin as they search for 5,000 eggs on the mountain. Kids on skis will head to Wrangler, one of the beginner trails, and anyone who wants to hunt on foot can search in the learning spaces near the base area. Prizes include discounted lessons and a Child’s 16/17 Season Pass! However you celebrate in Northern Colorado, have a fun and safe holiday!